At that time, there was a Pharisee called Nicodemus.Nicodemus was an important man.Nicodemus was a teacher of the Jewish laws so he knows all the ways of God. 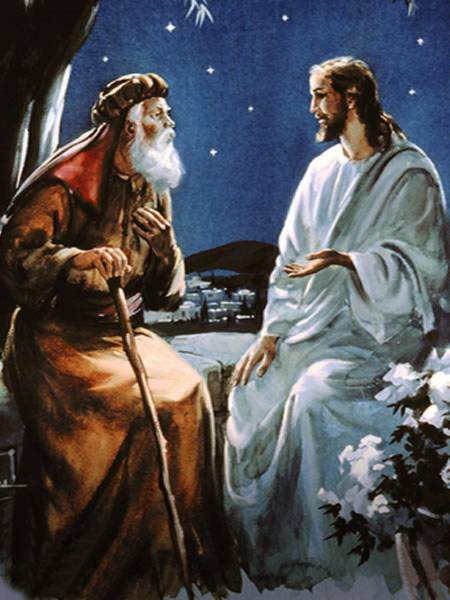 One night, Nicodemus pays a visit to Jesus. Jesus said, “Aren’t you the teacher of the Jews? Don’t you get what I am trying to say? No one has ever enter heaven except the son of God. Just as Moses lifted the bronze serpent on a pole so does the Son of God will be raised up into the heaven. God loves the world so much that he gave his only Son to the world. He let his Son come down from Heaven to die for the sins of the whole earth. If you believe me, you are not condemned but if you do not believe me, you are already condemned. Nicodemus finally understand what Jesus was saying. He was very happy and he left Jesus that night praising God.